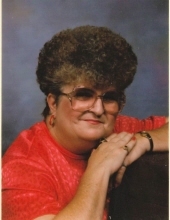 Doris Claiborne, age 78, of Jacksonville, passed away Tuesday, April 9, 2019 in Jacksonville. She was born August 31, 1940 in Palestine to the late Oscar and Minnie (Shaver) Wofford, Sr.
Doris worked as a medication aide in the healthcare field. Left to cherish her memory is her beloved husband, Charles Claiborne of Jacksonville; sons, Charles Claiborne and wife Allie, Mitch Claiborne and wife Tina, all of Jacksonville; and daughters, Linda Claiborne and Patricia Kinney, both of Jacksonville. She is also survived by a sister, Billie Buckley of Mixon; seven grandchildren; 23 great-grandchildren; three great-great grandchildren and numerous nieces and nephews. Visitation will begin on Friday, April 12, 2019 and friends are cordially invited to visit with the Claiborne family from 6 to 8 o’clock in the evening at Autry Funeral Home, Jacksonville. A funeral service is scheduled at 2 o’clock in the afternoon Saturday, April 13, 2019 at Autry Funeral Home Chapel in Jacksonville. Mrs. Claiborne will be laid to rest at Pierce’s Chapel Cemetery. Her grandsons and great-grandsons will serve as pallbearers. "Email Address" would like to share the life celebration of Doris Claiborne. Click on the "link" to go to share a favorite memory or leave a condolence message for the family.